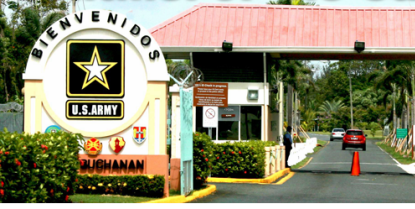 Ft. Buchanan Golf Club, is a Military, 9 hole golf course located in Fort Buchanan, Puerto Rico. The Fort Buchanan Golf Club in Puerto Rico is a military type golf club with nine holes which can be used to play an 18 hole round of golf. TPlayed as an 18-hole layout, the course is set out over 6300 yards of ground and has a rating of 72 as well as a slope of 128. 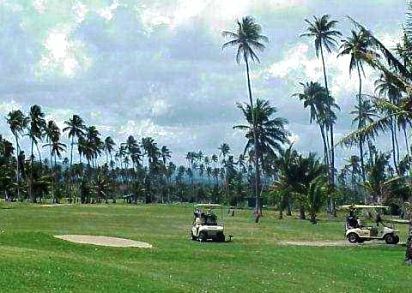 Though it is smaller than some of the islandâ€™s other golf clubs, the Fort Buchanan Golf Course Complex has everything you may need to enjoy a great round of golf. Ft. Buchanan Golf Club first opened for play in 1949. In addition to the main golf course, the Fort Buchanan Golf Course Complex has other golfing facilities. These include a driving range with nine hitting stations, practise greens, a number of bunkers, a snack bar and a five-hole practice course with a par three rating. The Fort Buchanan Golf Club is open to military personnel and their guests. this course is within ten minutes from san juan and allows you to walk the course or ride a golf cart.